Recently comments to any WordPress blog were automatically set to send you replies from all who made comment on a topic. Whether you wanted them or not. If you followed more than a few WordPress blogs this meant that your email suddenly exploded! Well, apparently they got a lot of feedback, and the users were not happy! So as of yesterday, May 17th, they have now switched it back to user control. Simply put, if you want to follow a hot topic and keep abreast of all comments you have the option to check the box and receive any and all comments for that topic… Or not! User control is always a good policy. You are the second person to have that response, and almost simultaneously!!! (but I hadn’t actually noticed as I was a day or two behind with my email box opening LOL Just clearing all the emails tonight). Hoorah! I was forced to unfollow some otherwise enjoyable blogs for this very reason! Happy for that! I honestly couldn’t keep up with it!! 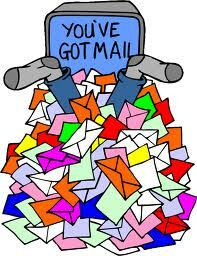 I got over 100 e-mails today so the change will be a relief. Ooo! I feel your pain… and yes, it will certainly be a relief! I had seen a new format for the WordPress “topics” and I spent about 20 minutes trying to figure it out. I didn’t like it at all, especially the email everything to my account part. I had 126 new ones. Thanks for explaining! I got so frustrated that I simply turned off all email notifications from anything to do with WordPress. I have my own little system anyway, so I don’t need the emails for anything. The problem with the little reponse box is that it only holds nine messages. If I put up a cool blog post early in the morning and then leave for 12 hours, I can come back to find that I only have nine notifications in the response box. On the other hand, email notifications don’t show up in a timely manner either, which is one reason why i had no problem doing away with them.